Open the doors to find secret reveals and connect the pieces to expand your world! Includes 3 playsets: Mad Hatter's Tea Shop, Belle's Book Shop, Elsa's Ice Rink. Also includes 3 x exclusive figurines, 3 x plug-in and 5 play pieces. Welcome to the world of Disney Doorables where behind every door a surprise is in store. Mix, match and stack to build the ultimate adventure in storytelling. Imagine all the possibilities and surprises you will find as you embark on a great new adventure! Open the doors to find secret reveals and connect the pieces to expand your world! 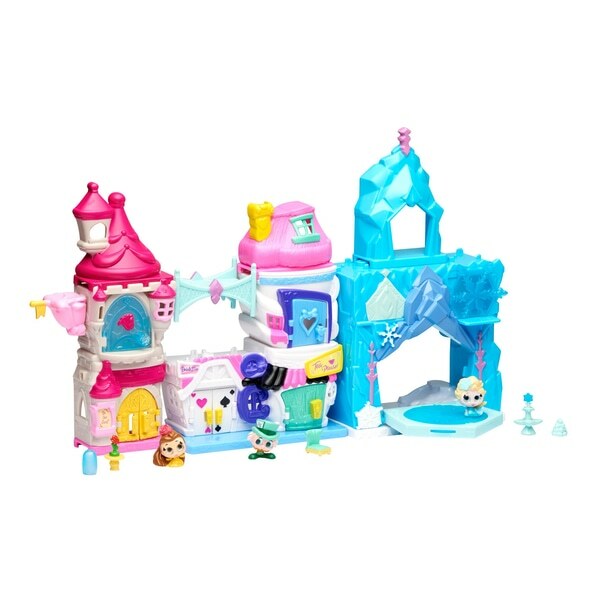 Build the Ultimate Playset with this 3-in-1 Mega Set which includes 3 playsets: Mad Hatter's Tea Shop, Belle's Book Shop, and Elsa’s Ice Rink.